The documentary films of social and environmental injustice that artist Susan Swartz has contributed to including Academy Award winners Born into Brothels and The Cove. Director Louie Psihoyos follows a team of activists as they penetrate a hidden cove in Japan where a massive ecological crime —the slaughter of dolphins— is secretly perpetrated. Winner of the Academy Award for Best Feature Documentary 2009 and US Audience Award at the Sundance Film Festival 2009. *DVD features 'Mercury Rising', a short documentary that explores the dangers of mercury contamination as it affects society and global environment. Conceived by Swartz and narrated by Robert F. Kennedy, Jr. The latest documentary from veteran team Heidi Ewing and Rachel Grady explores the idea that the woes of Detroit are emblematic of the collapse of the U.S. manufacturing base. This is the dramatic story of a city and its people who refuse to leave the building, even as the flames are rising. Premiered at 2012 Sundance Film Festival. Embedded in Afghanistan, photojournalist and filmmaker Danfung Dennis reveals the devastating impact a Taliban machine-gun bullet has on the life of a 25-year-old US Marine Sergeant. The film seamlessly transitions from stunning war reportage to an intimate, visceral portrait of one man’s personal struggle at home in North Carolina, where he confronts the physical and emotional difficulties of re-adjusting to civilian life. Contrasting the intensity of the frontline with the unsettling normalcy of home, the film lays bare the true cost of war. Winner of the Grand Jury Prize at the Sundance Film Festival 2011 and nominated for the Academy Award for Best Documentary Feature 2012. Directed by David France, this is the untold story of the intensive efforts that turned AIDS into a manageable condition, and the improbable group of (mostly HIV-positive) young men and women whose resilience broke through a time of rampant death and political indifference. Premiered at 2012 Sundance Film Festival. This is the story of what happens when an undefeated third grade girl’s soccer team competes in the boys division. Directed by Jenny MacKenzie, this short documentary uses humor and honesty to reveal the reality of boy-girl issues both on and off the field. 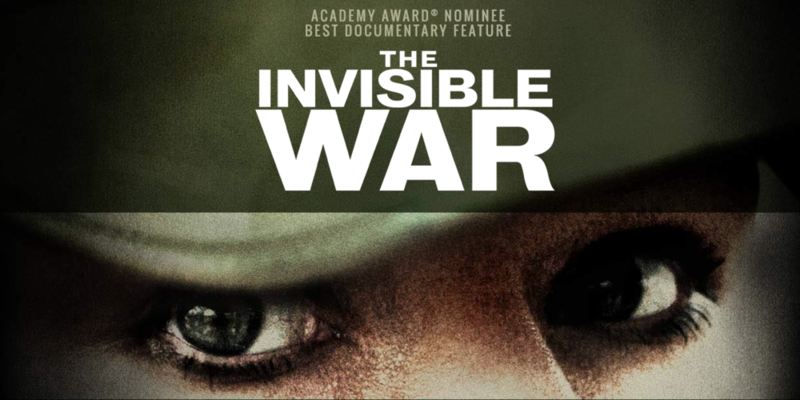 Winner of 2009 Outstanding Documentary Award from Women’s Independent Network. Directed by Jennifer Siebel Newsom, the film explores how the media’s misrepresentations of women have led to the underrepresentation of women in positions of power and influence. Stories from teenage girls and provocative interviews with politicians, journalists, entertainers, activists and academics, like Condoleezza Rice, Nancy Pelosi, Katie Couric, Rachel Maddow, Margaret Cho, Rosario Dawson and Gloria Steinem build momentum as Miss Representation accumulates startling facts and statistics. Premiered at the 2011 Sundance Film Festival. Directed by Lauren Greenfield, the documentary follows a couple building the biggest house in America —a 90,000 sf. palace inspired by Versailles— when their timeshare empire falters due to the economic crisis. Their rags-to-riches-to-rags story reveals the innate virtues and flaws of the American Dream. Premiered at 2012 Sundance Film Festival. Produced by Susan’s husband Jim and directed by Robert Stone, this feature-length documentary premiered at the 2013 Sundance Film Festival. Pandora’s Promise explores how and why mankind’s most feared and controversial technological discovery — nuclear power — is now passionately embraced by many of those who once led the charge against it. By carefully embracing all angles of the issue, the film provides both a personal and intellectual underpinning for the emergence of a new era of nuclear power and clean energy. A real life action film about a UN hero, this documentary chronicles the life and final hours of Sergio Veira de Mello, the “go-to-guy” for international diplomacy. Based on Pulitzer Prize-winning author, Samantha Power’s biography Chasing the Flame, the film is directed by Greg Barker. Winner of the Audience Award at the 2009 Sundance Film Festival.